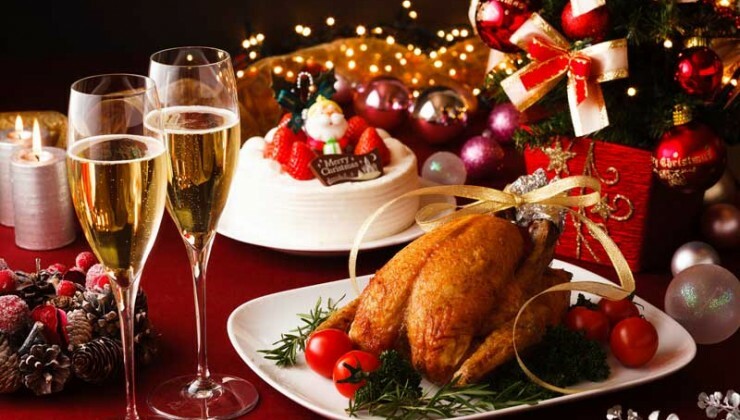 Below find the list of food which you can enjoy in Christmas. It is a traditional Indian rum fruit cake originating and lending its name from the north Indian city of Allahabad. It is a popular Christmas cake with maida, eggs, clarified butter, sugar, petha, marmalade, nuts, ginger and fennel as its main ingredients. It is prepared for consumption during Christmastide by the Christian population of Hindustan. It is famous all around the world. Indians have their own version of chicken stew. The recipe varies from state to state. This recipe is the Bengal version of chicken stew. It's healthy and is also a good food to have in chilly winters with loads of vegetables. It is a rich dense cake packed with dry fruits and nuts flavored with spices usually made during Christmas. People start by soaking the dry fruits in rum a month before christmas which enhances the flavor of the cake. Though any kind of dry fruits and nuts can be used to make this cake, the most commonly used dry fruits in India are tutti fruity, dates, cherries, kismis (raisins) and cashews which are commonly available in India. It is also called as Christmas Fruit Cake or Plum Cake in Kerala. It is a traditional Christmas meal in Mizoram. Each household in this part of North-East India has a slightly different version of the dish. The Burmese Khowsuey features layers of noodles, a vegetable curry made with coconut milk and an elaborate masala of spices, coconut and cashew nuts, and an elaborate garnish of fried onions, garlic, vaal dal and spring onions. Stuffed chicken roast, one of the most common meals during Christmas in India, is a combination of a western dish with Indian ingredients. Crackers are ideal for a tea-time or any get together. Here is a thin crispy type cracker with Indian flavors, the curry leaves and cumin gives a nice flavor to the baked cracker. These crackers are prepared with wheat, is butter-less, and has low calorific value hence makes a healthy snack. It is a dish made with rice, lots of spices and some meat/vegetables. It is a famous dish among Indians and even other parts of the world. A candy cane or peppermint stick is a cane-shaped stick candy often associated with Christmastide as well as Saint Nicholas Day. It is traditionally white with red stripes and flavored with peppermint, but is also made in a variety of other flavors and colors.